It’s been some versions until we have this mod available that gives new uses to gold and iron. 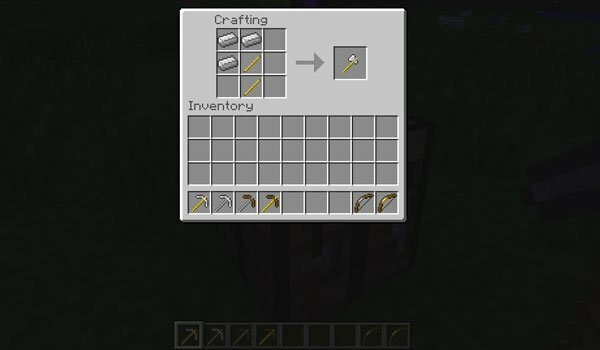 Metal Rods 1.5.2 gives us the possibilities to use iron or gold bars to create the weapons and tools, making them more resistant and durable instead of weak wooden sticks. Not only this, we can also use the iron to make the usual hatches but with iron instead of wood. Take care because these new weapons and tools aren’t free of enchantments, so they work as usual. How to install Metal Rods Mod for Minecraft 1.5.2? New Features for gold and iron!